I’ve owned several Mr. Coffee Iced Tea Makers over the years, but I’ve always made sweet tea the old fashioned way boiling water in a kettle. 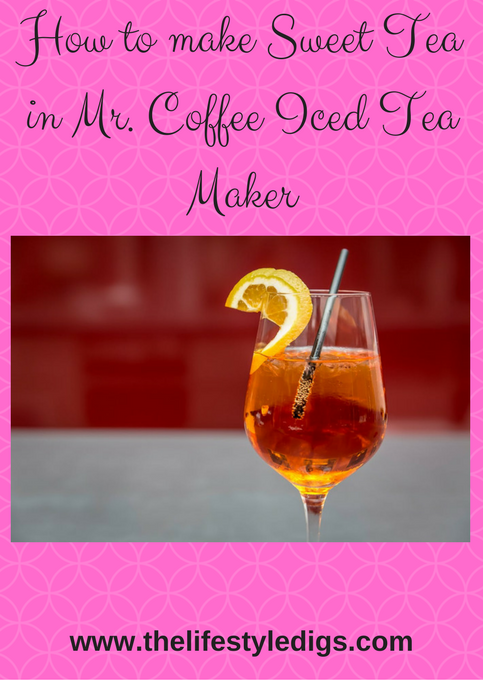 I’ve always wondered how to make sweet tea in a Mr. Coffee Iced Tea Maker. When I make sweet tea, I add boiling water to 3 tea bags and between half a cup to 3/4 cup of sugar. 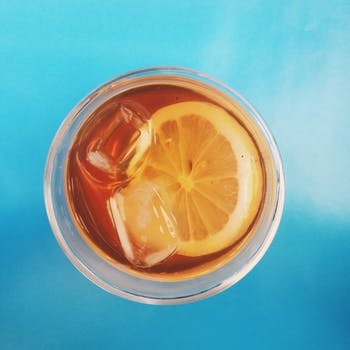 Using a Mr. Coffee Iced Tea Maker is a different process because the water is boiled within the iced tea maker, brews over the tea bags, and then pours out over the pitcher full of ice cubes. That’s the secret to iced tea in 10 minutes, all the ice in the pitcher. If I want to use the Mr. Coffee Iced Tea Maker to brew sweet tea, the biggest issue is how will the sugar dissolve. 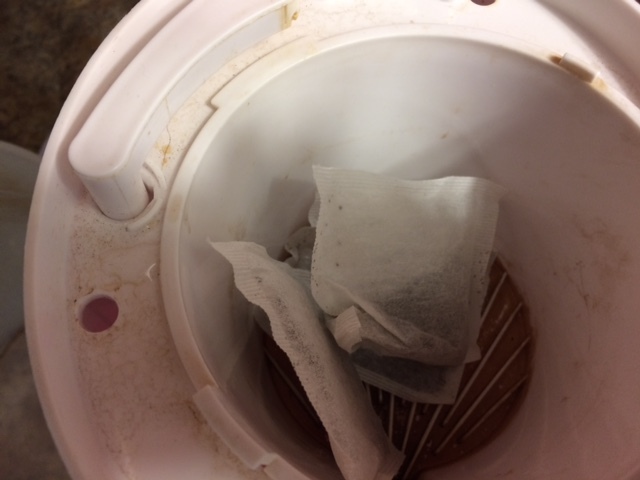 Sugar can’t be put in the brewing basket with the tea bags, so it will have to go in the pitcher with the ice cubes, raising the question of how well sugar will dissolve in ice and cold water. 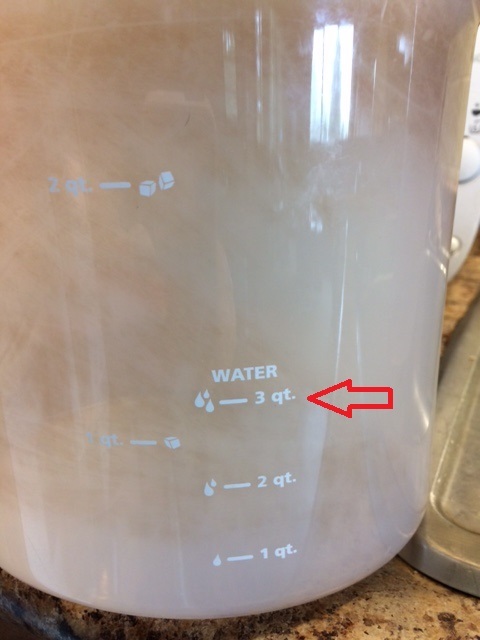 I thought about making sugar water in a separate bowl, dissolving the sugar in boiling water, and then adding it to the pitcher. Ultimately, I decided not to do that, but if that’s your preference, then give it a try. I decided to use my sweet tea recipe, slightly modifying it for use in the Mr. Coffee Iced Tea Maker. 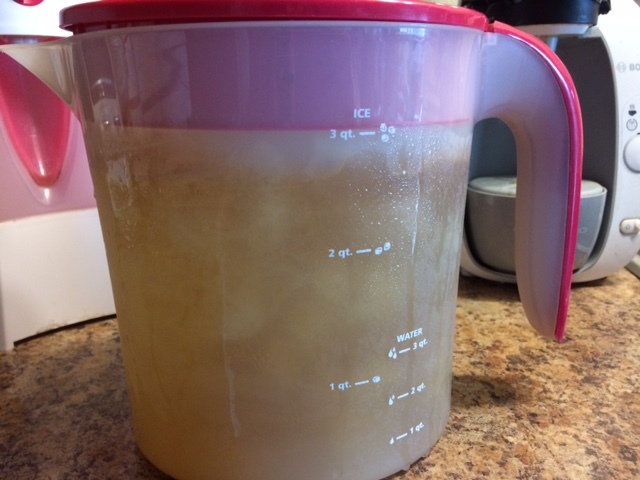 I started by filling the pitcher with water to the 3 quart level and then poured it into the reservoir of the Mr. Coffee Iced Tea Maker. Then I put 3 regular black tea bags into the brewing basket. 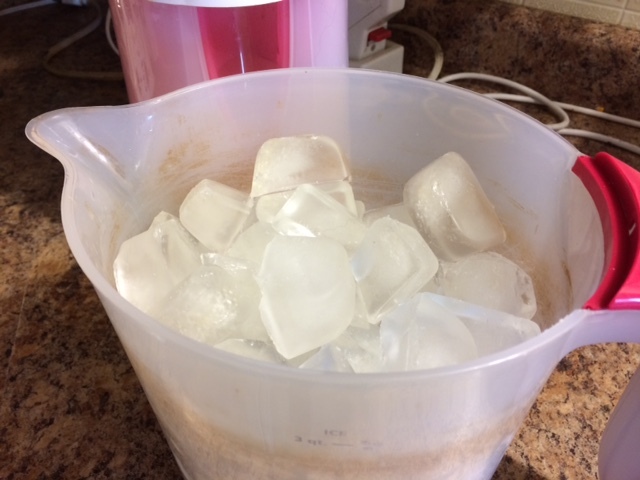 I filled the pitcher close to the top with ice cubes – 5 trays of ice cubes. 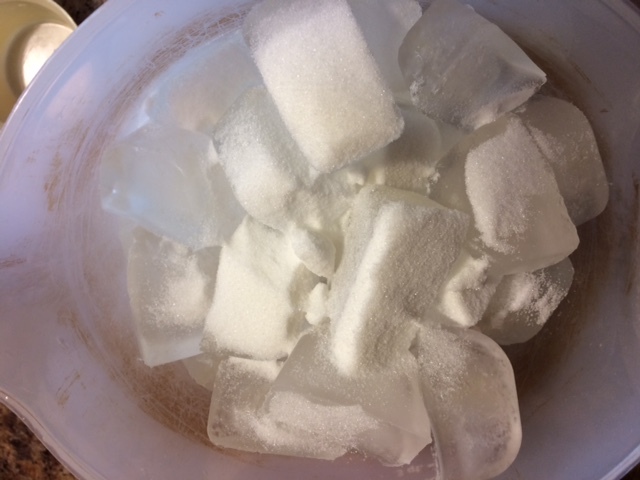 I poured just over half a cup of sugar on top of the ice cubes. I was hoping for the best, and that when the boiling tea seeped into the pitcher it would melt the sugar. 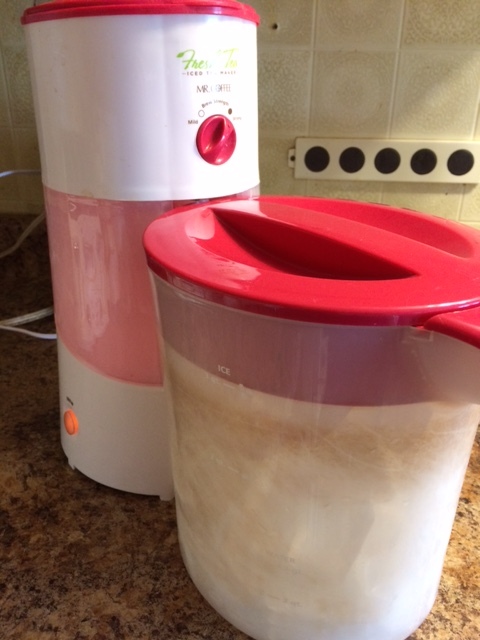 I snugged the pitcher up to the Mr. Coffee Iced Tea Maker. 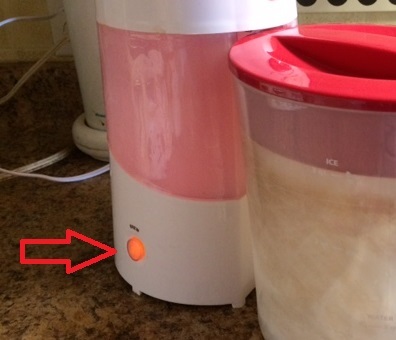 I turned on the start button on the bottom of the Mr. Coffee Iced Tea Maker. 10 minutes later I had sweet iced tea. I opened the lid and saw most of the sugar had dissolved. I gave it a good stir to make sure the rest of the sugar dissolved and to evenly distribute the sweetness. The sweet tea was pretty good. It wasn’t quite as sweet as my other recipe for sweet tea, but upon immediately drinking the sweet tea after it brewed in the Mr. Coffee Iced Tea maker, it was very enjoyable. Keep in mind that as the ice melts it’s watering down the sweet tea. Even though it wasn’t quite as sweet, I found this a very refreshing iced tea that was sweetened just enough the following day. If you find sweet tea too sweet, this could be the perfect recipe if you let it sit a few hours or overnight in the fridge so the ice cubes melt. I tried a slightly altered version of this recipe, using 3 trays of ice cubes. This version was sweeter, but the pitcher didn’t last as long. I still had plenty of ice cubes in the pitcher once the sweet tea was finished. And the sweet tea tasted the same, so stick with the full pitcher of ice cubes. Click here for more instructions on using a Mr. Coffee Iced Tea Maker. If you don’t have a Mr. Coffee Iced Tea Maker, they cost around $20 at Wal-Mart. 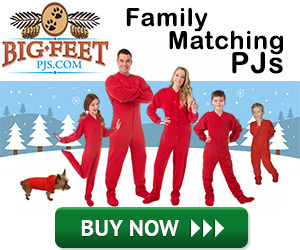 You can also purchase one through Amazon. 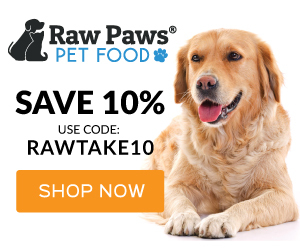 Disclosure: if you click the image below, the link will take you to Amazon, and if you make a purchase I’ll receive a small commission for the referral. Have you used a Mr. Coffee Iced Tea Maker to brew sweet iced tea? 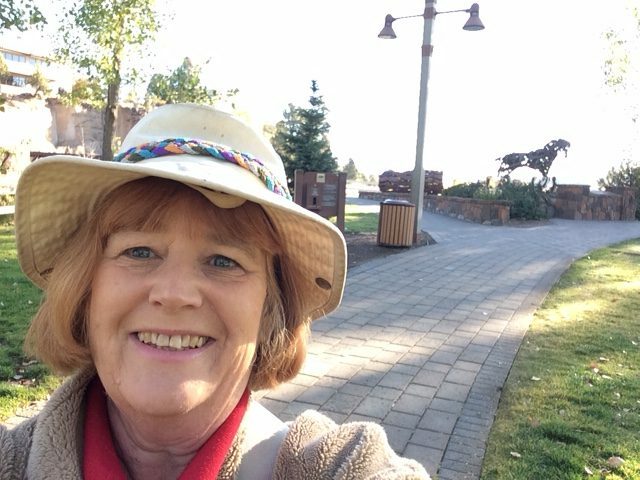 What worked for you? A thought. Do not put ice in the pitcher. 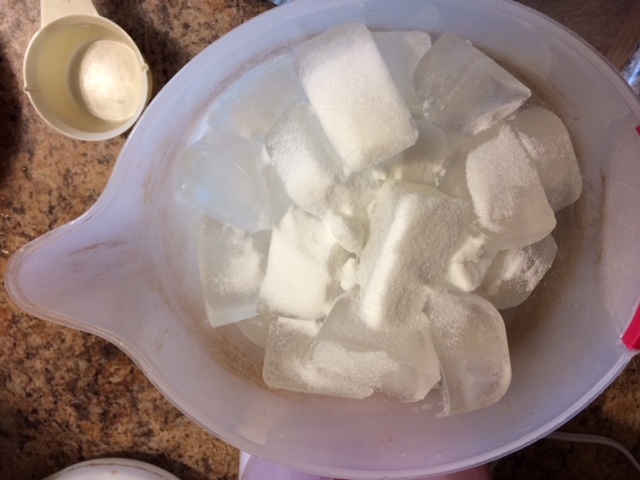 Each person add ice to the serving. The tea in the pitcher will not be weakened. The instructions specifically tell you not to brew without ice in the pitcher.